Multiple times a week, we get emails, comments and messages asking “what’s the best Chromebook for this price or that price.” Often times, that’s a difficult query to answer because so many factors come into play such as use-case, location and personal preferences. Then, you have days like today when that answer is about as simple as 2+2 when asking about a $300-$400 Chromebook. Samsung had recently offered up free AKG headphones when you bought any number of their Chromebook including the Pro w/backlit keyboard and various Chromebook Plus V2 models. They have since dispensed with the freebies and instead cut the bottom dollar drastically on two of their latest devices. The Celeron and Core m3 variants of the Samsung Chromebook Plus V2 are currently discounted $200 in Samsung’s store and that means you can grab a premium convertible with a built-in stylus for as little as $300. 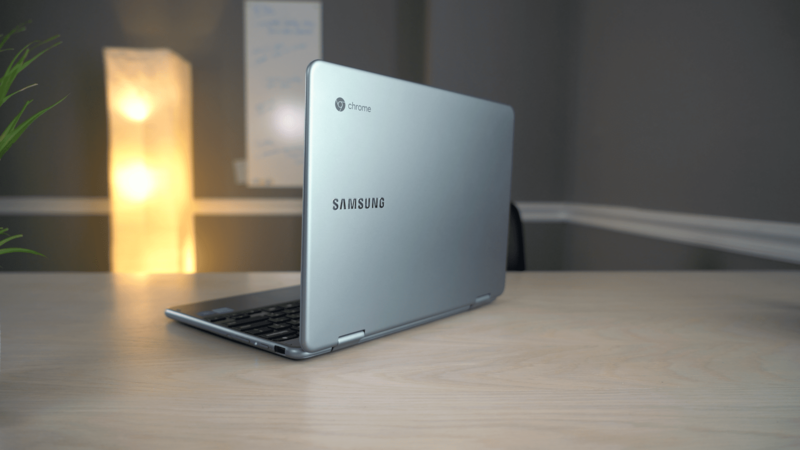 Samsung Chromebook Plus V2 equipped with an Intel Celeron 3965Y processor, 4GB RAM and 32GB of storage for $299 or the significantly more powerful Core m3 model that doubles the storage to 64GB. If $300 is your absolute max budget, I would definitely recommend snagging one of these Celeron models. However, if you can get by dishing out the extra Benjamin, the Core m3 version is a steal at $399. I’m not sure if Samsung is just trying to stimulate sales or make room for some possible new models. Either way, Chromebook buyers are the clear winner with these deals. Grab one while they last.